Some very good sites for insight into our Conference mates. The Owls conducted their Annual Cherry and White game in a different fashion this year. Coach Rod Carey has a different approach for the spring game. Read more at Temple Football Forever. One thing known for the Huskies heading into the 2019-20 season is who their team leaders are for the upcoming campaign. Linebacker Eli Thomas, Punter Luke Magliozzi and Offensive Tackle Matt Peart will don the “C” for UConn. Scroll down the page and Read at the UConn Blog. Coach Charlie Strong wants to sling the ball around and put pressure on the opponent’s quarterback in 2019-20 and if the spring game is an indicator, the Bulls are heading in that direction. Read a whole lot more about the 2018 Bulls at The Daily Stampede. Central Florida faces life without McKenzie Milton and nothing was resolved during the spring. Coach Josh Heupel looking for a quarterback to emerge for a talented UCF offense. Read more at Knights Notepad. Third-year coach Luke Fickell’s rebuild of Cincinnati hit warp speed in his 2nd year at he Bearcats posted crazy turnaround from a 4-8 season in 2017-18 to an 11-2 mark last season. So how does that big jump bode for 2019-20? For a slick site that employs a multi-media approach, learn about Cincinnati’s 2018 edition at Down the Drive. It’s all about Ed Oliver’s transition to the NFL these days over at Houston. From Bobble Heads of the stud defensive lineman to his NFL Draft plans and outlook, Oliver is the focus of the content. Follow the Cougars at The Chron. Quarterback is set with Brady White, but the guys in front of him will determine the offensive success for the Tigers. The OL is very unsettled for Memphis coming out of the spring. Scroll down the page for the story. Follow the Tigers at The Commercial Appeal. Hear how the spring went for the Midshipmen straight from players themselves. A bundle of player interviews tell you where the Navy program is heading into summer and fall. 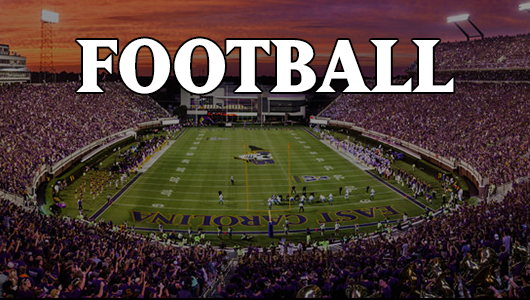 Follow the Midshipmen at Navy’s Football Site. It has to be about defense for Tulsa football in 2019-20. Several great pieces to catch you up on the Hurricanes. Just have to click around the splash page. Learn more at Tulsa World. Tulane offense starts off turning the ball over in its spring game, but settles down to show efficient, consistent execution. The Times-Picayune has the Green Wave covered. Southern Methodist talking about its two-deep heading out of spring. Quarterback is more than settled as some feel that Shane Buechele should be in the Heisman projection discussions. Check out The Dallas News to keep you informed about the Mustangs.